Early 2011 15" Macbook Pro w/ AMD Radeon 6490m. Akitio Node Thunderbolt 3 enclosure. I also need to login, turn on Node, plug in thunderbolt cable, then logout and then I see the login screen on the external monitors. Just set it up. Wanted to run 4k Monitor and play around with tensorflow. Did you happen to do a bootcamp install so can test CUDA-Z in Windows to see if its consistent underperformance with the OS? Unfortunately I do not have a bootcamp install, and probably will not on this machine (only have a 250GB SSD installed). It is running well enough for now, running my UHD monitor. When I start playing around with tensorflow proper, I may look into it. Thank you for posting your build. 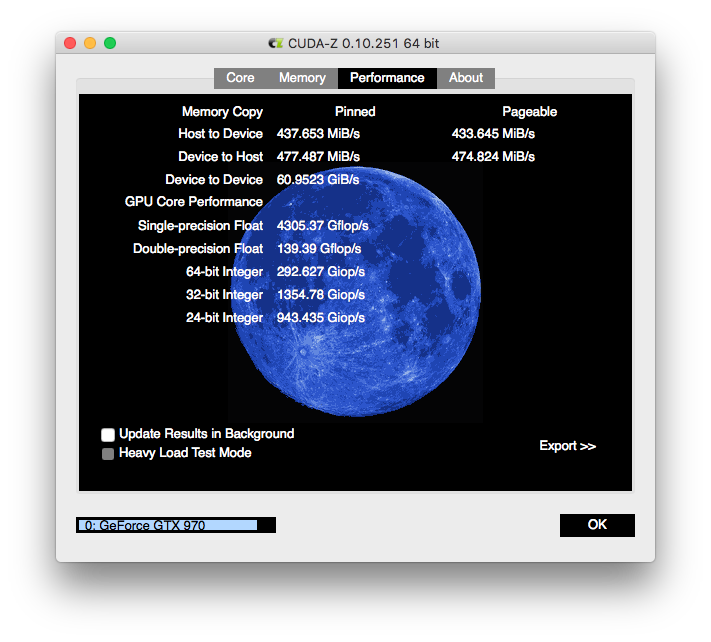 I’ve been following egpu.io for some time now and have been waiting for someone with exact same MacBook Pro to post some recent results. I have so many questions that I hope you can help me answer. Did you have to do anything extra in order to get this working in MacOS? Other than the OS patches to get the Nvidia graphics working? Have you done any gaming or benchmarks? How are the laptop thermals? Is it possible to power the internal monitor with the egpu? Is it possible to do this with Thunderbolt1 considering the smaller bandwidth? If you went with an Radeon RX5/6/70 would you have to go through any additional steps or is it plug and play?